Date posted: April 20, 2016 by: JasonDarkX2 Category: Gaming Tech one comment. But like all great things, everything has to come to an end. Announced earlier in a blog post by Phil Spencer on Xbox.com, the production and manufacturing of the Xbox 360 console will be concluded today, after celebrating its 10th year anniversary back in November 22, 2015. "While we've had an amazing run, the realities of manufacturing a product over a decade old are starting to creep up on us," Spencer said. "Which is why we have made the decision to stop manufacturing new Xbox 360 consoles. 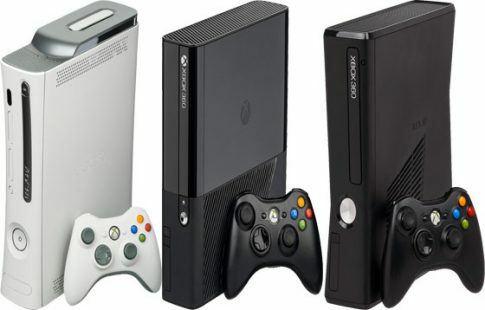 We will continue to sell existing inventory of Xbox 360 consoles, with availability varying by country." But what does this mean for existing Xbox 360 Gamers, well the support and Xbox Live servers will continue on, Market purchases will still be available for purchase. Just the availability of new 360 consoles hardware and accessories will be limited to what’s left currently in the market. As for Xbox One, continued Xbox 360 backward compatibility support, updates free of charge. Phil Spencer at the end hints of something big in the coming months for Xbox One and windows 10. With E32016 is less than a month away. Well an amazing run it certainly was indeed. I personally spend so many hours on Halo, Gears of War, Assassin’s Creed, Mass Effect, and Saints Row on 360. Having owned 4 Xbox 360(Xbox 360 elite, Xbox 360 arcade, 2 slim models) I’ve gotta give a big thanks to Microsoft Xbox 360 for making my prime gaming years during high school and college days such a blast.